Do you sell security systems door to door?! Well, then you’re going to want to keep reading on! 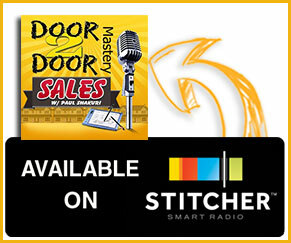 I am Paul Shakuri and this is door to door mastery! If you sell home security systems door to door, I want to take this moment and invite you into my mindset, my brain! Mainly, I have learned and acquired all the talents and skills necessary to sell door to door security systems and I want you all to benefit from what I have learned over the course of my years in the profession. I want you to master this art! That’s right! 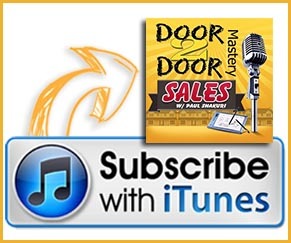 Master the art of closing more sales door to door! To be more specific, you will be able to close ten sales in a day! 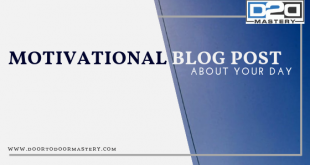 I have in the past and I am not putting myself on a pedestal, I am simply telling you my success rate to show you the possibilities when you broaden your knowledge in door to door sales. It is all about the process! You must learn and understand the process to get to a level of closing ten deals a day and more! Now, the number one point that I personally want to share and I want you to consider that I have owned my own dealership, which has grown to over 400 door knockers selling home security. I also have master dealerships all throughout Canada and the United States that actually hire me to train their sales staff. Again, I am not sharing this to boast about myself! 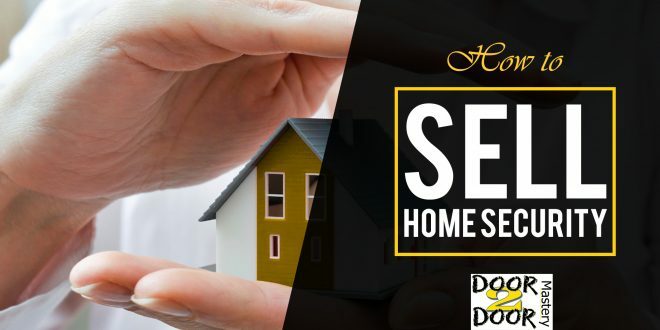 I simply feel it is imperative for you to know where you are getting your information from when you are researching about how to sell home security systems. The resources you use will determine your final outcome in this specific profession of door to door sales of home security.  Now, the number one point, to master door to door sales, especially in home security, you need to sell yourself on the products and services you are promoting and selling! Outline the pros of what this product and service can do for you and the potential customer. Selling yourself in on the product or service does not mean you have to lie to yourself and say that home security is an awesome product. Understanding all the features and how a potential customer can benefit can help you defend your product and believe fully in it. Features can consist of a keypad, a siren, a door sensor. Let’s talk about these features! I personally like the keypad feature simply because it can notify you if someone is coming in from a particular door, breaking in or simply if your kids are getting out of the house through the back or front door. I personally love this feature because I have kids and am a family man. I was immediately sold in on this particular feature. The siren feature is perfect if you are sleeping, it can wake you up to notify you that someone is trying to get in and you can react quickly to the situation. How badass is this product? Did you sell yourself in on it yet? Because you cannot go out every day, door to door if you have not sold yourself in on the product! Home security with home automation is completely unreal! How far the technology has gotten will blow your mind away! This is just how badass it is, you could be at the Bahamas like I was a few weeks ago and tap into your system to adjust your thermostat at home, turn on the air conditioner or even check in on your kids! Overall, when you believe in the product and when you sell yourself, the potential customer can see it and feel it with your presentation! We all know that sales are the delivery of energy and emotion! When you have this, you will notice an increase in sales! I look forward to giving you more of my insights! Until next time!